Argentina may have the best attack in the tournament. Is that enough to have the last laugh? In spite of organizational difficulties and social unrest, the 20th FIFA World Cup kicks-off scheduled to kick off in ten days is surrounded by an unprecedented level of fervor and enthusiasm. For the first time in the competition’s history, nine Latin American teams have managed to reach the group stage of the Cup. Besides Brazil, the host country, Costa Rica, Honduras, Mexico along with the United States will represent the Confederation of North, Central American and Caribbean Association of Football (CONCACAF), while Argentina, Colombia, Chile, Ecuador and Uruguay will be taking part in the tournament for COMEMBOL, the South American Football Confederation. Strongly motivated by home fans, Brazil is undoubtedly Latin America’s best chance for a champion. Notwithstanding some questionable squad choices made by coach Felipe Scolari, the side’s brilliant performance at last year’s Confederations Cup revealed a well-balanced, physically strong and technically well-equipped group. The deliberate exclusion of experienced players and national symbols such as Kakà, Ronaldinho and Robinho is empowering for Neymar, but it is also shifts all the media pressure on his shoulders. Considering his mediocre season at FC Barcelona and his at-times dishonest behavior on the field when facing stressful situations, Neymar does not seem ready yet to play a leading role within the Seleção. Pelé agrees. The football legend recently acknowledged Brazilians should rely on players with more character such as Thiago Silva or Fred to safeguard the team and create the necessary conditions to thrive. Rising star Neymar could be both Brazil’s most valuable asset and its Achilles heel, depending on the circumstances, and that’s why relying solely on him would be Brazil’s greatest possible mistake. Unless a series of unexpected miracles occur, the CONCACAF teams have very slim chances of passing the group stage. Costa Rica and Honduras will honor their participation to the tournament by battling every game, pushed forward by their pride and determination. But the results may not be there. 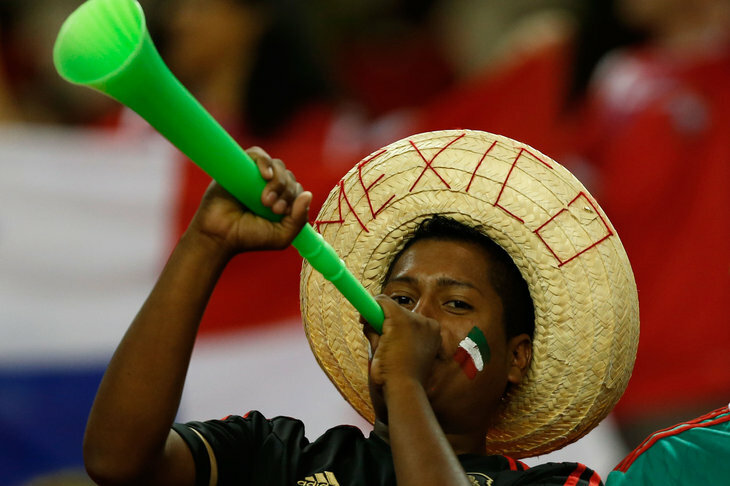 Mexico is one of the hardest teams to evaluate. Despite having played a disastrous qualifying tournament, el Tri beat New Zealand for a slot in Brazil thanks to the last minute victory of the United States against Panama. Since the top spot of Group A will almost certainly be taken by Brazil, Mexico will be clashing against Croatia and Cameroon, for the second slot. The objective in not impossible, but it won’t be simple either. With Javier “Chicharito” Hernandez missing in action at Manchester United and Carlos Vela not part of the list, Mexican hopes are placed on Villarreal’s Giovanni Dos Santos and Santos Laguna’s Oribe Peralta. Moving back to South America, bookmakers have Argentina among the top candidates for the final victory, along with aforementioned Brazil and European powerhouses Germany and Spain. They will face Bosnia-Herzegovina, Iran and Nigeria in Group F.
With international superstars Lionel Messi, Sergio Aguero, Gonzalo Higuain, Angel Di Maria and Ezequiel Lavezzi, the Albiceleste can arguably count on the best offensive attack in the world. Argentina’s coach Alejandro Sabella left aside people’s favorite Carlos Tevez, in spite of El Apache’s brilliant season at Juventus, as well as PSG’s Javier Pastore. 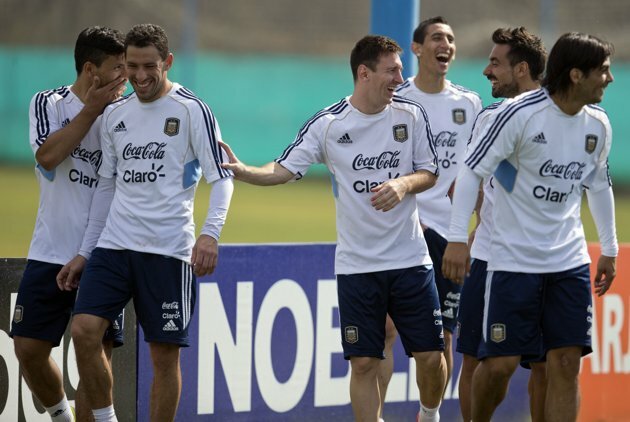 The offensive arsenal, however, does not make Argentina invincible. Ordinary midfield and poor defense do not match the quality of the forwards. It will therefore be crucial for Argentina to play an attacking game and to find in Messi the leader capable of pulling the team together in difficult times and guide it towards a dream final against Brazil. Colombia successfully qualified to the final stage of the World Cup for the first time in 16 years under the tactical rigor of Argentine coach José Pekerman. Because of a serious knee injury suffered in France, it is still unsure at this stage whether Radamel Falcao, the Cafeteros’ most prominent player, will be fit on time to take part to the competition. Nevertheless, thanks to a favorable draw that assigned Colombia to Group C with Japan, Ivory Coast and Greece, going through the next round seems an easily attainable task. Football connoisseurs are keeping their eyes on Fiorentina’s Juan Cuadrado, Monaco’s James Rodriguez and Porto’s Jackson Martinez. Uruguay is also struggling with the injury of their most representative man. Liverpool’s Luis Suarez, the player of the year in the English Premier League, suffered an injury at the very end of the season. Despite having recently undertaken meniscus surgery, he assured the Celeste’s fans on his physical conditions. Together with PSG’s longhaired Edinson Cavani, Uruguay can deploy one of the most fearsome attacking duos in the competition. Coach Oscar Tabarez was capable of forging a fierce side; perhaps the team did not deliver its best during the qualifications, but in the past it has proven capable of shining when the going gets tough. Such characteristics are going to be necessary indeed, as Uruguay will face Italy, England and Costa Rica in Group D, the “group of death” according to the insiders. Chile faces a similarly difficult situation, clashing in Group B against Australia and 2010 World Cup finalists Spain and Holland. The press and Chilean fans alike seem to a certain extent optimistic. La Roja de Todos impressed for its style and brilliant football in the friendlies played in Europe against Germany and England; qualifying as second in the group and playing versus Brazil in the quarter finals doesn’t appear unachievable, taking into account Barcelona’s Alexis Sanchez good form. The other superstar, Juventus’ warrior Arturo Vidal, recovering after a recent surgery, will be available to coach Jorge Sampaoli on time as well, thus increasing the firepower of the Chilean midfield. Ecuador, in Group E with France, Switzerland and Honduras, is a relatively unknown bunch, as most of its squad members play either in the Ecuadorian league or in Mexico. The team’s success at the qualifying stage was built thanks to home victories at altitude in Quito; at sea level El Tri failed to repeat the same results and was most of the times limited to playing counterattacking football. On paper, both France and Switzerland seem better-prepared teams, but every edition of the world cup has reserved sensational surprises. The most prestigious football competition has been missing from the Latin American region since Mexico 1986. History reveals that whenever the World Cup had taken place in the Americas, a Latin American side came home with the trophy. 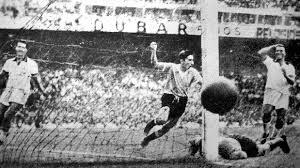 Uruguay succeeded in Montevideo (1930) and in Rio de Janeiro (1950); Brazil in Santiago del Chile (1962), Mexico City (1970) and United States (1994); Argentina in Buenos Aires (1978) and Mexico City (1986). The region certainly has valid reasons to be ecstatic. This entry was posted in Andean Region, Brazil, Mexico + Central America, Southern Cone and tagged Argentina world cup 2014, Brazil world cup, Chile world cup, Colombia world cup, Ecuador world cup 2014, el tri, Latin America football, Latin America in the world cup, Mexico world cup, tevez world cup, Uruguay world cup 2014, who will win the world cup, world cup 2014. Bookmark the permalink.